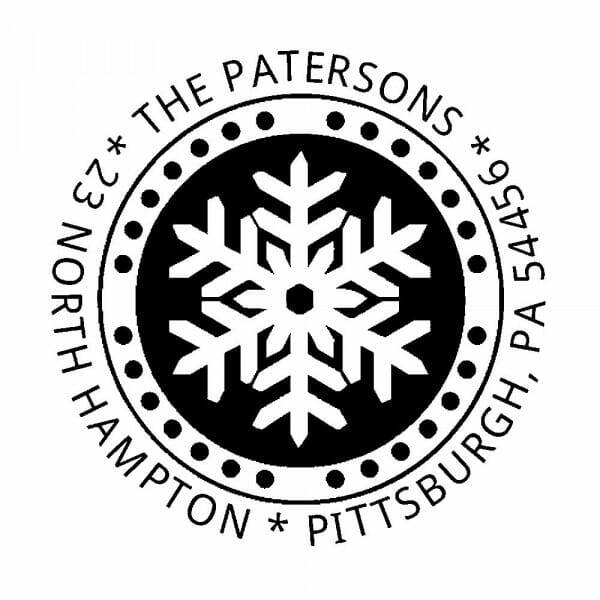 The Unique Snowflake Round Monogram Stamp consists of a self-inking stamp (Trodat Printy 4642 round text stamp, 1 5/8" diam.) with a replaceable ink cartridge for thousands of crisp impressions. Customer evaluation for "Unique Snowflake Round Monogram Stamp"